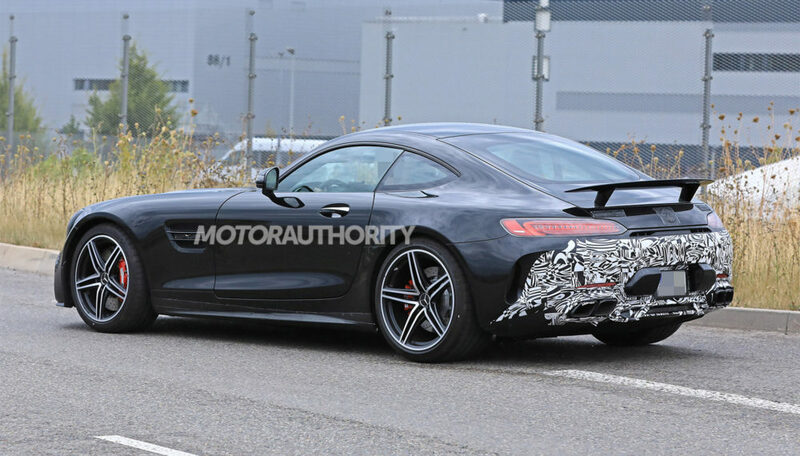 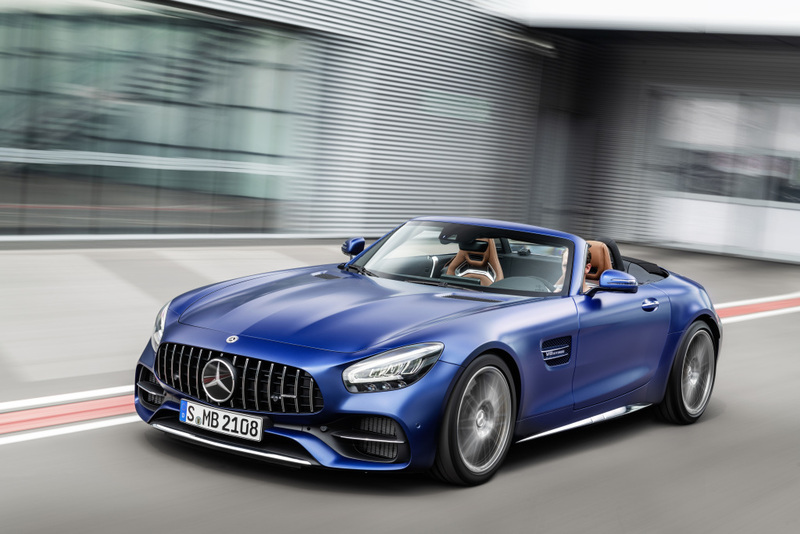 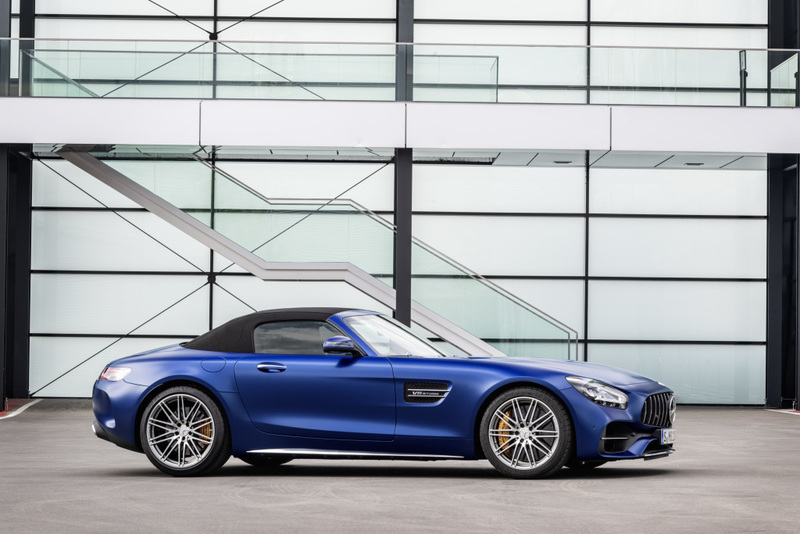 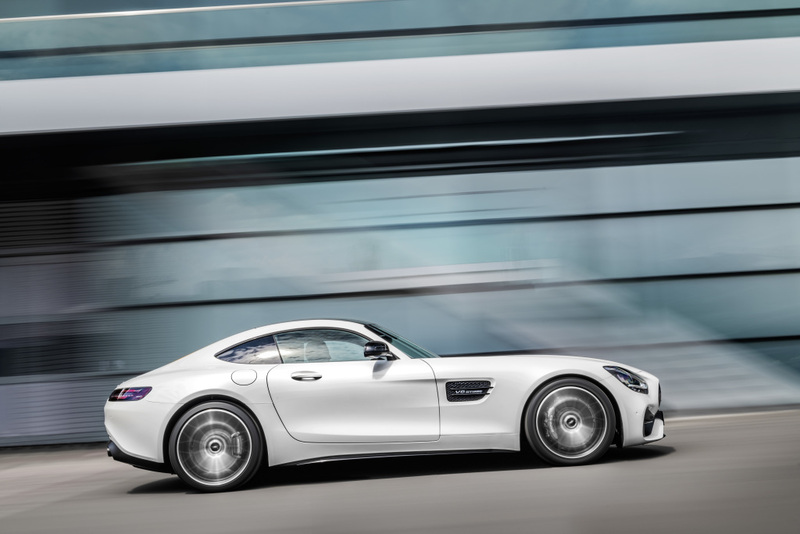 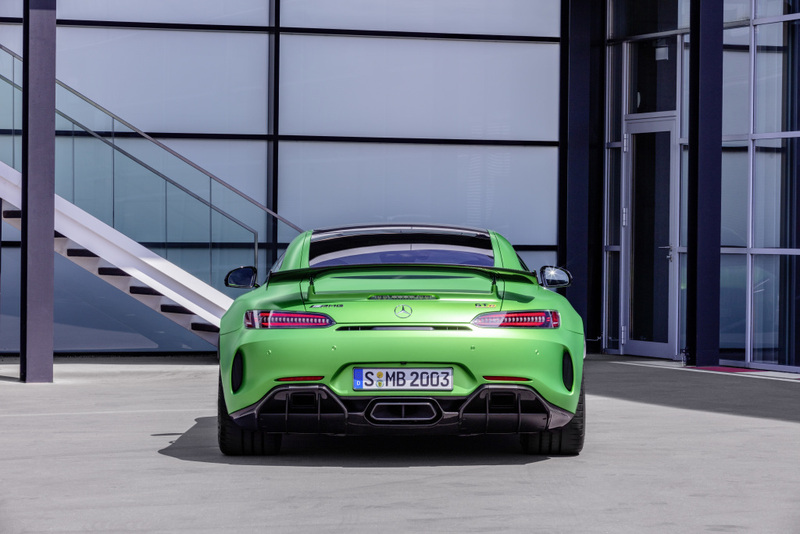 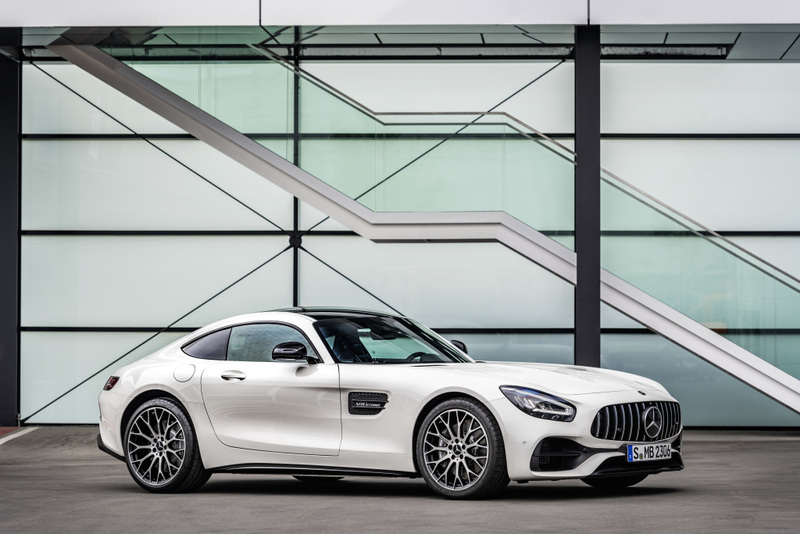 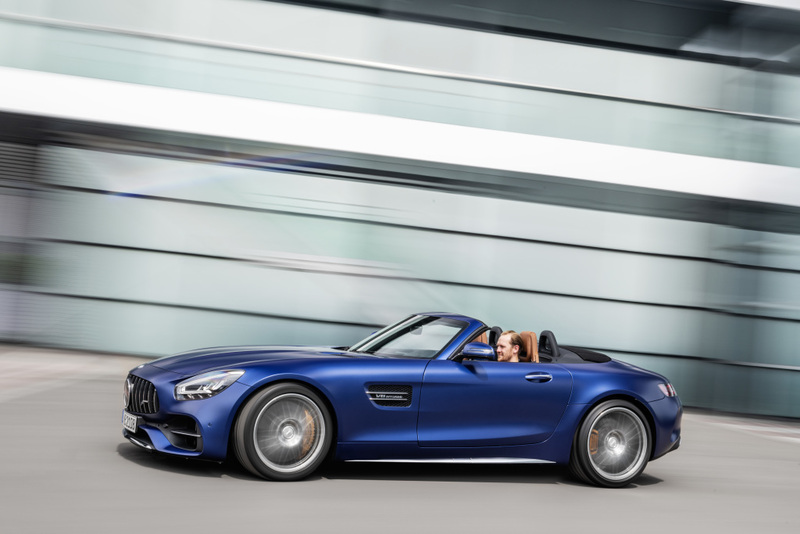 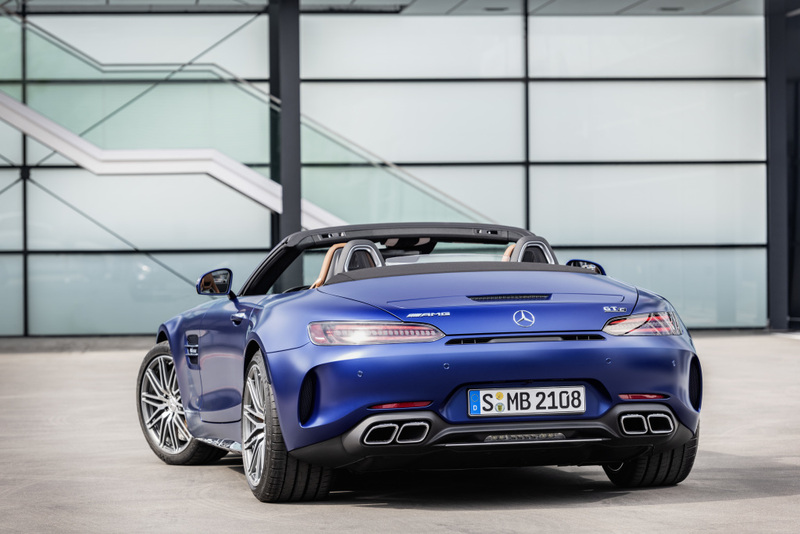 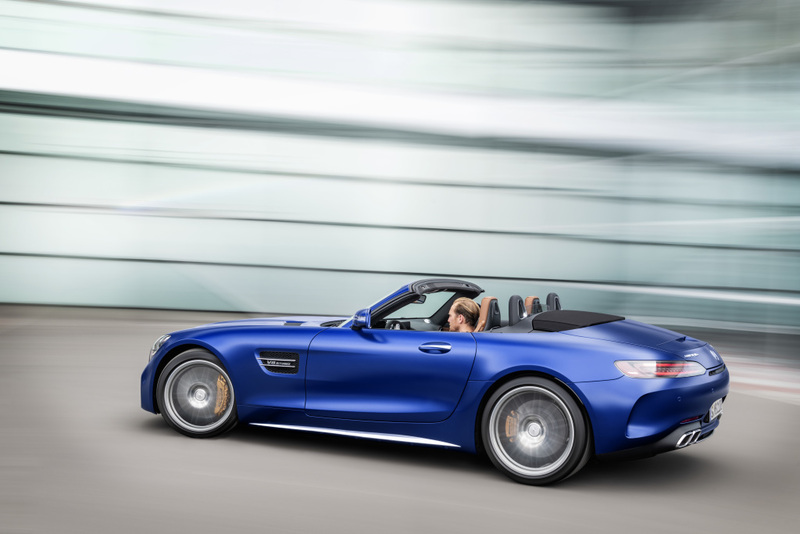 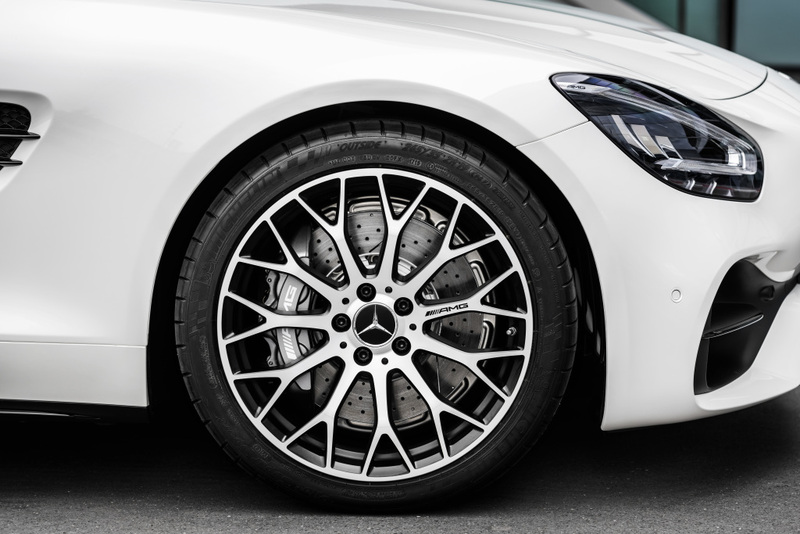 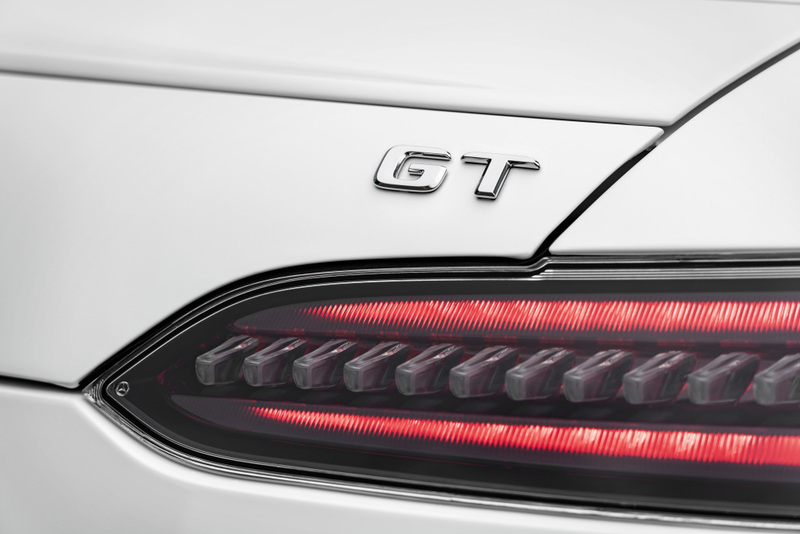 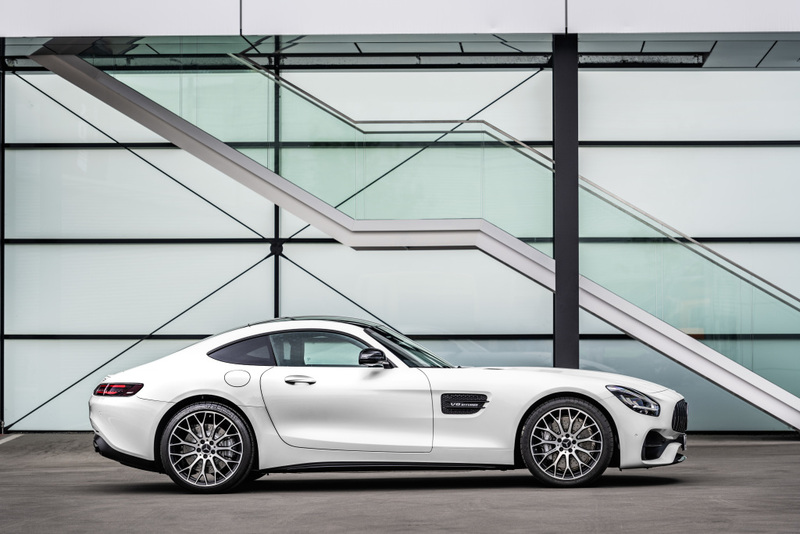 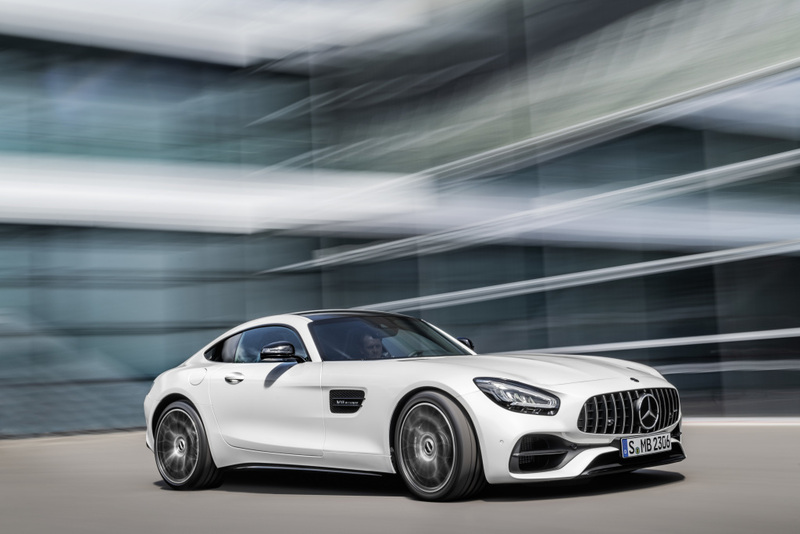 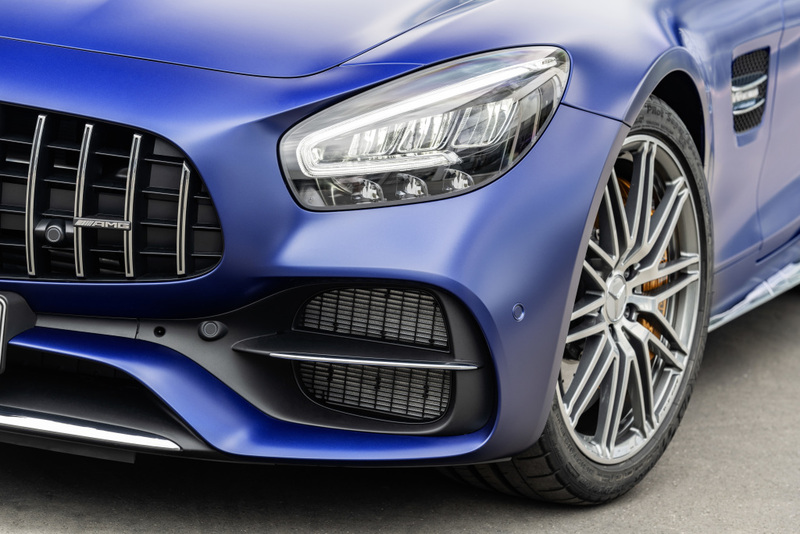 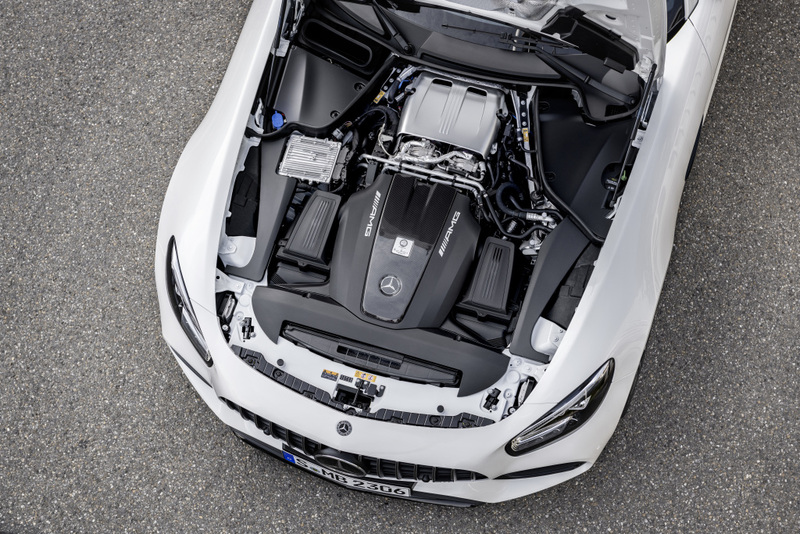 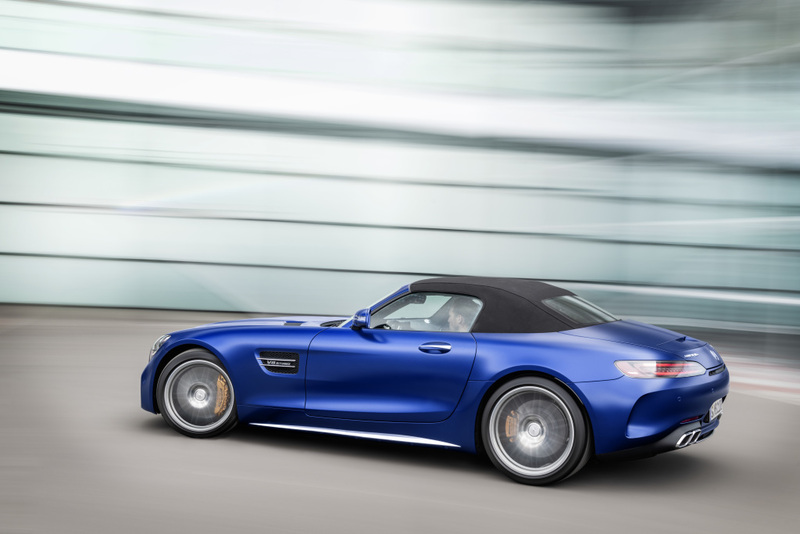 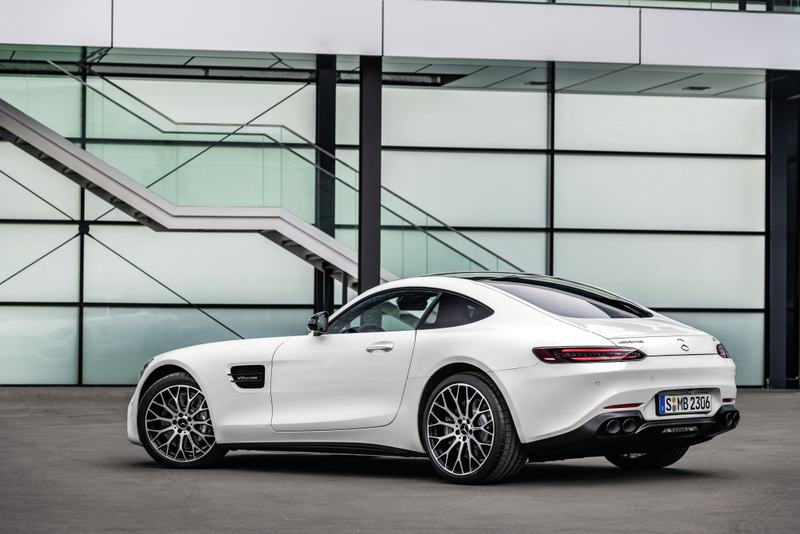 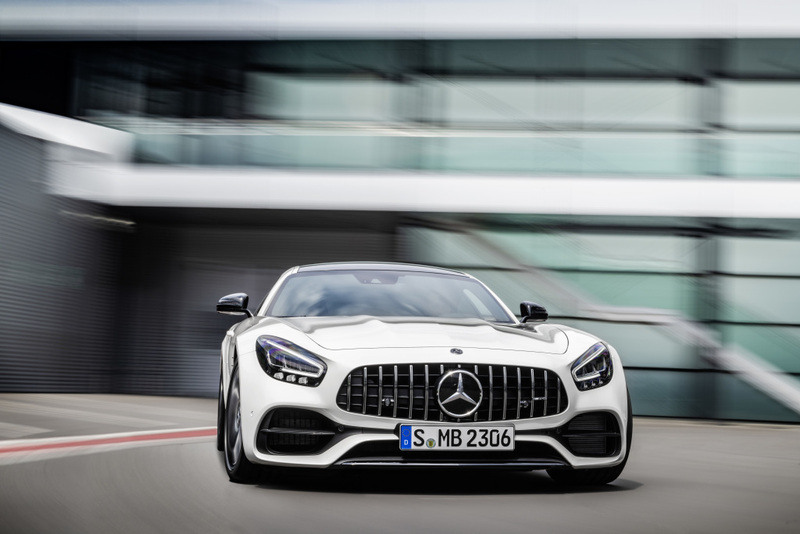 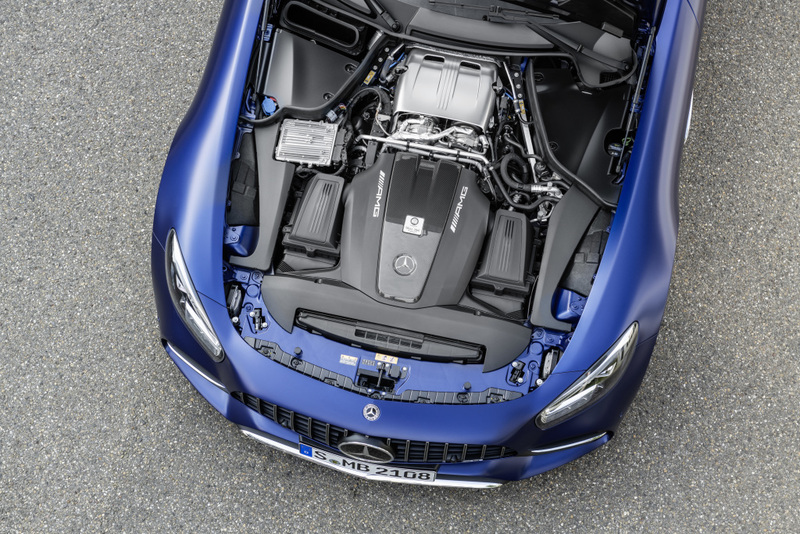 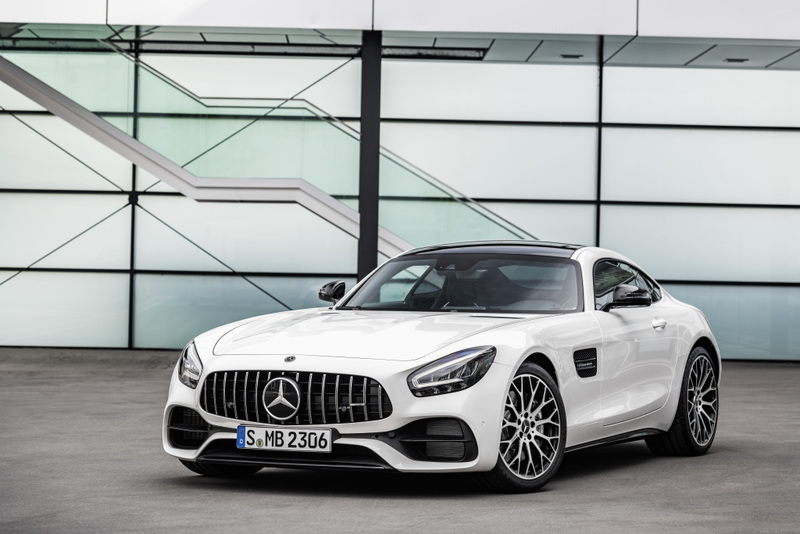 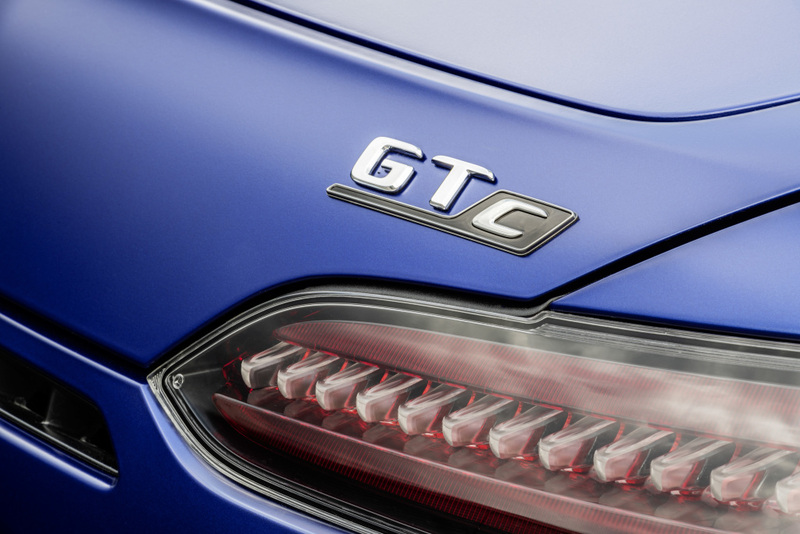 Four years ago, at it’s debut, the AMG GT successfully sought out competition on the world-wide sports car scene – and conquered a large part of the market with ease. 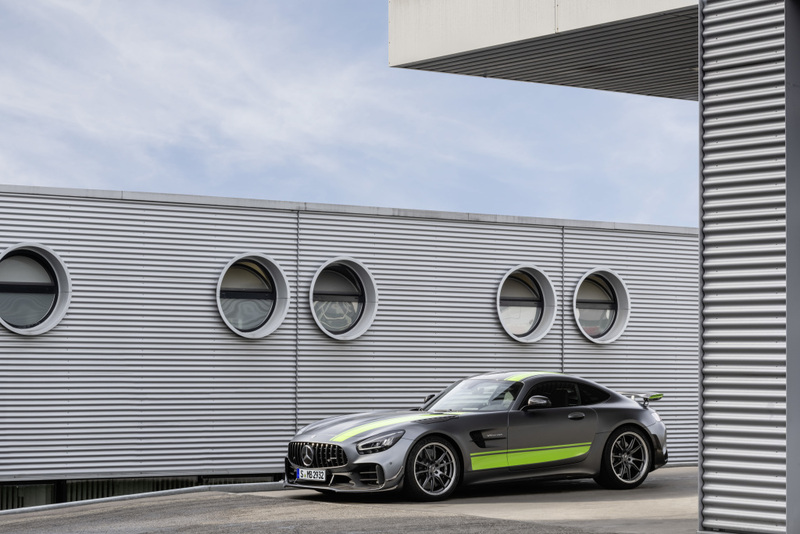 To up the ante further, the beast from Affalterbach has been honed further with the new limited edition AMG GT R PRO. 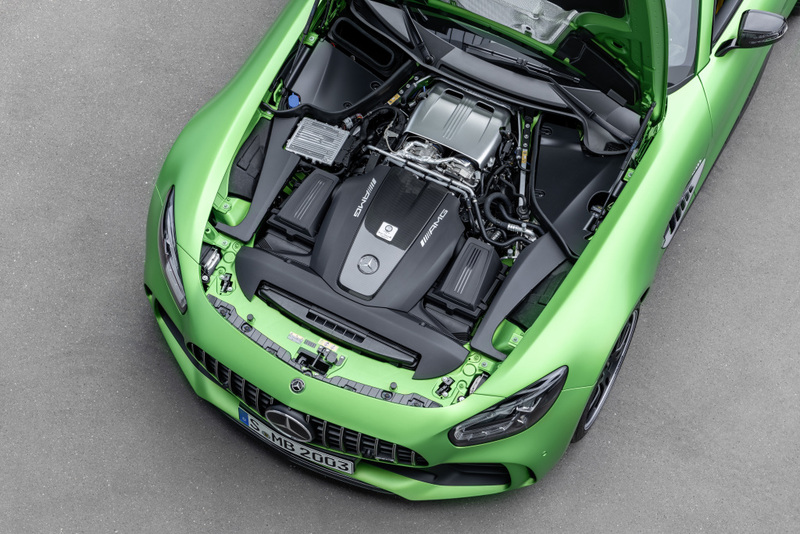 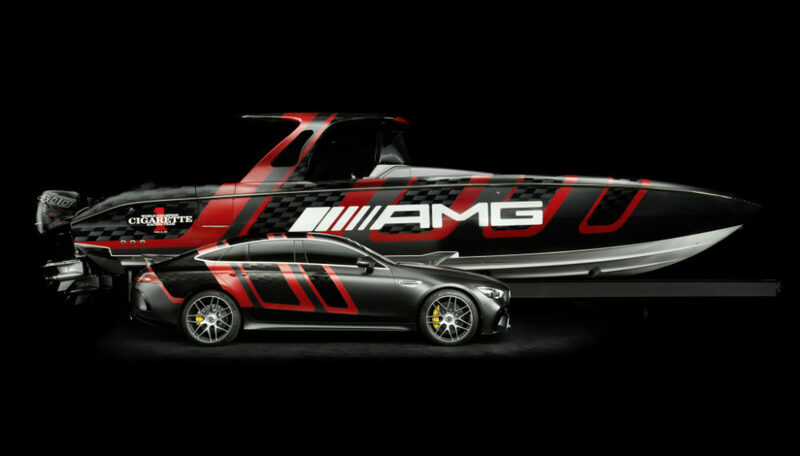 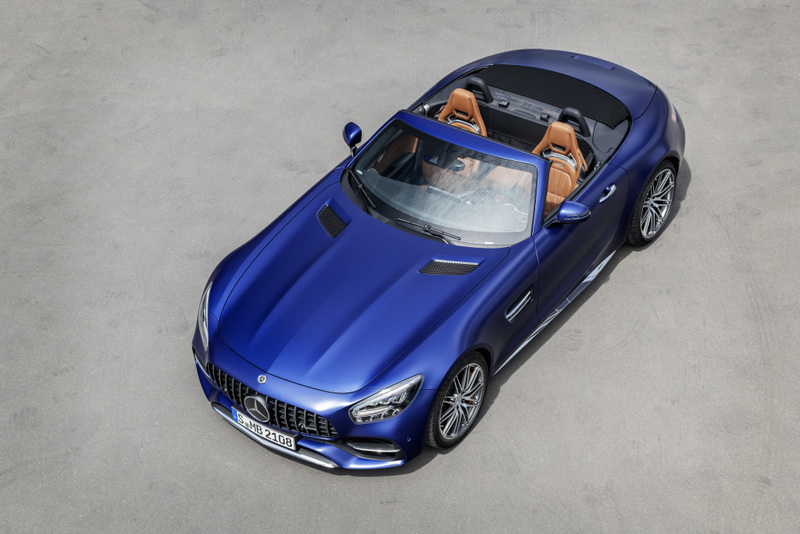 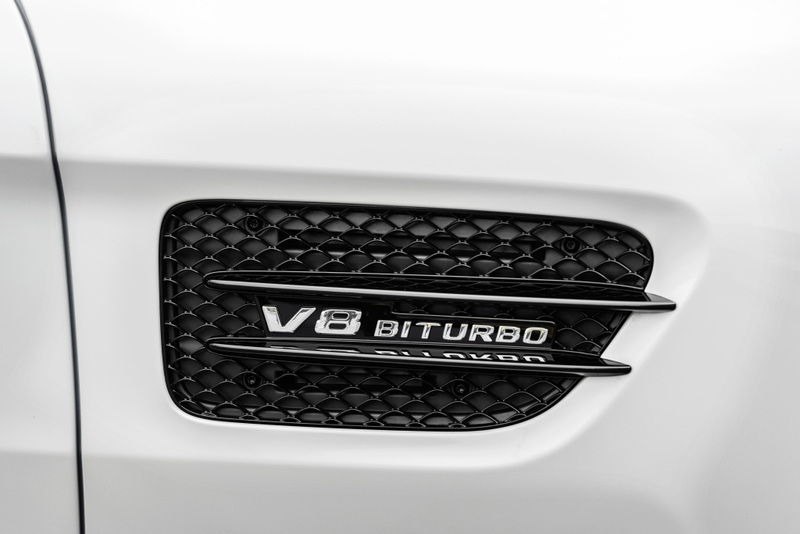 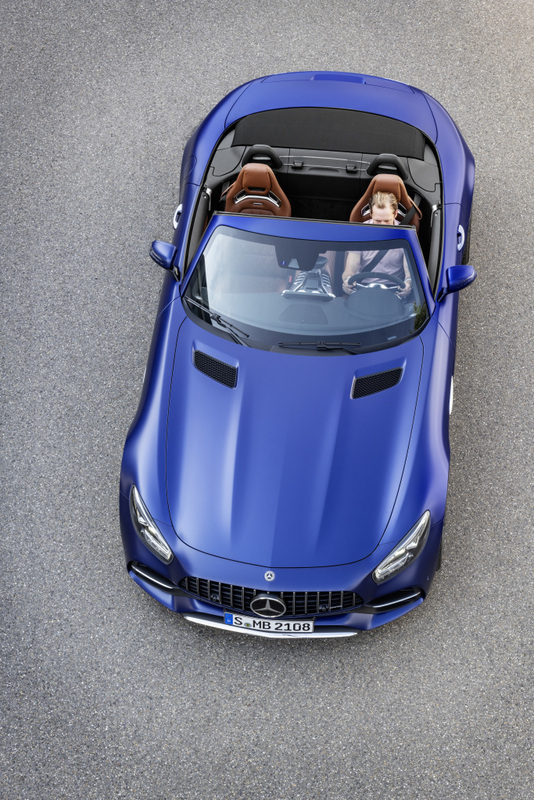 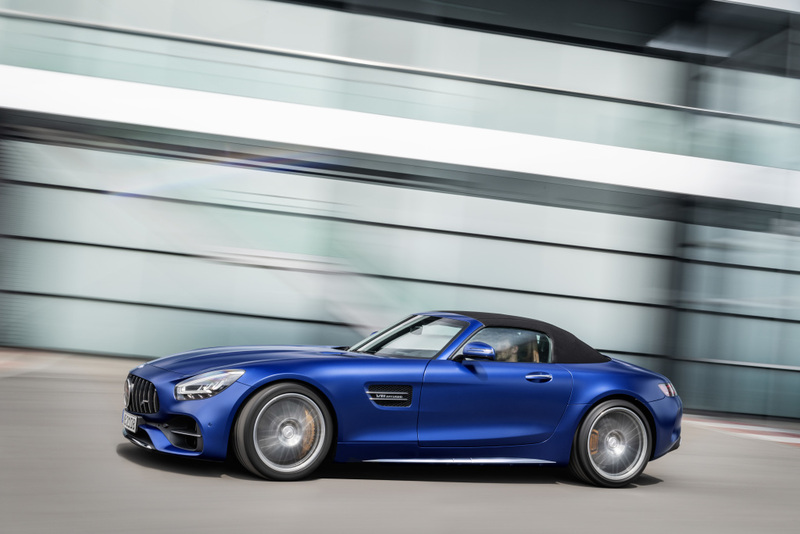 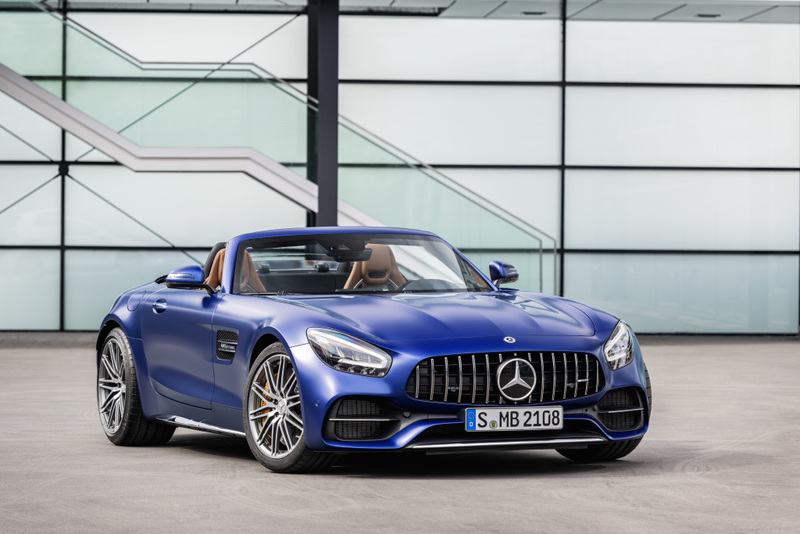 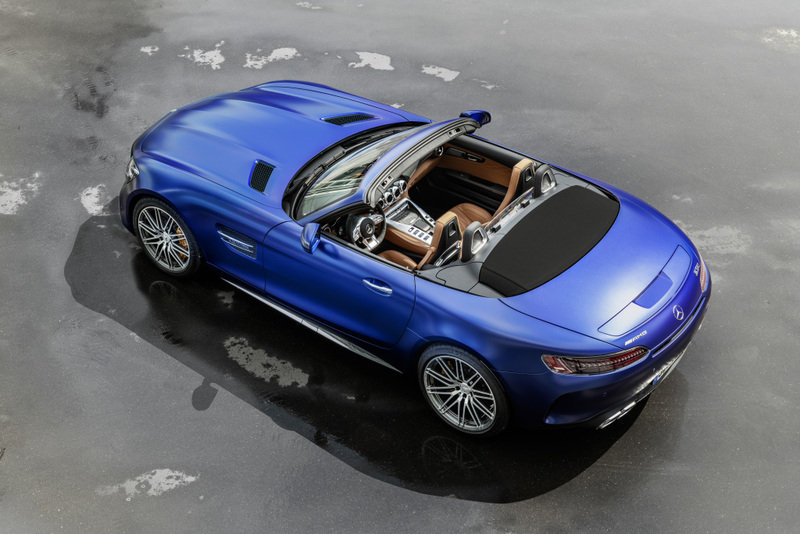 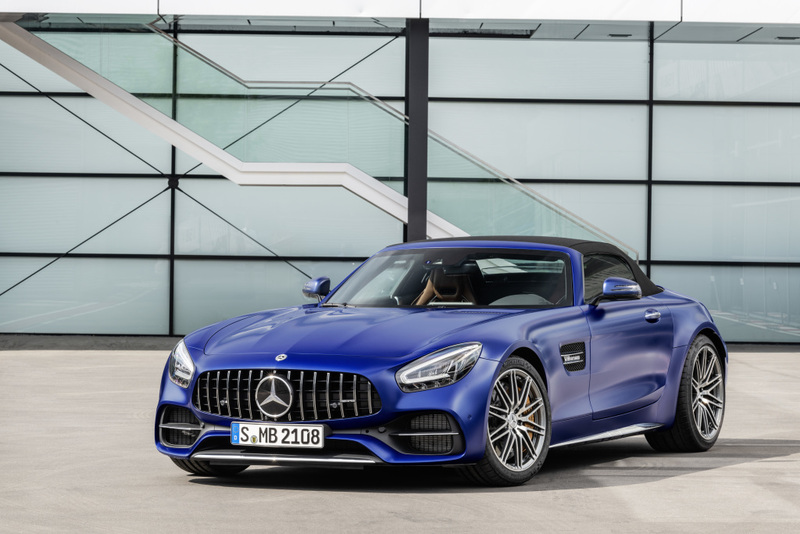 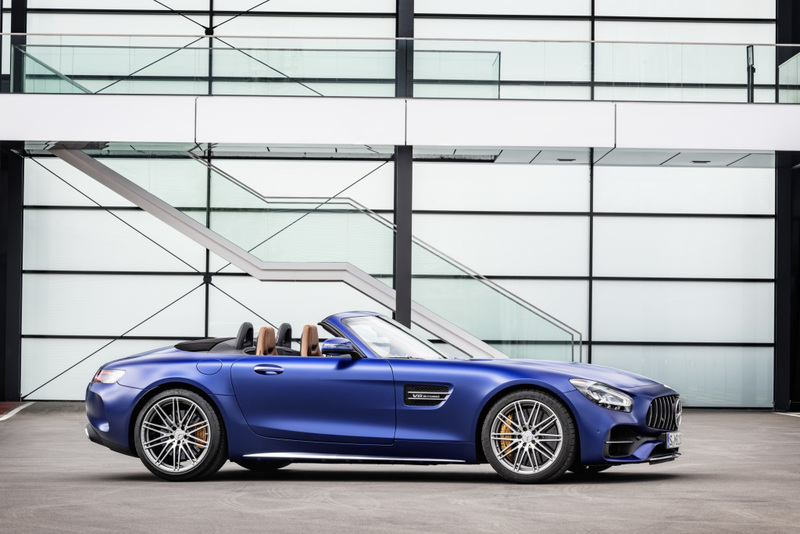 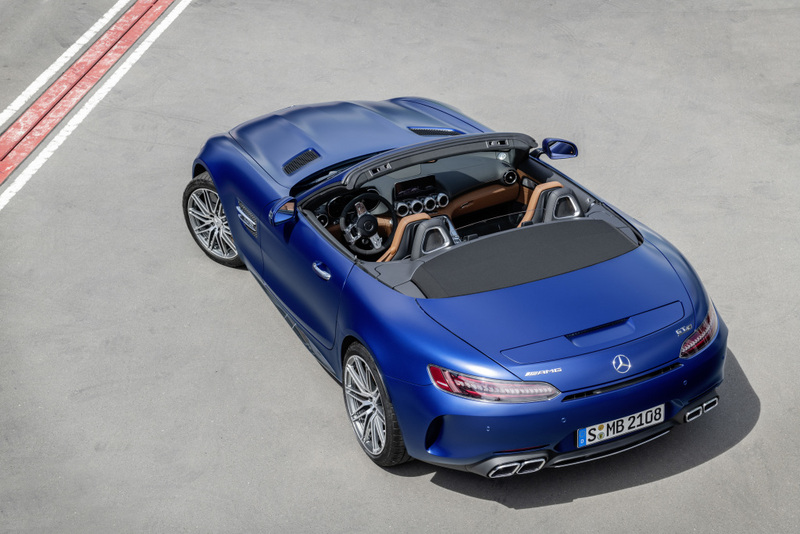 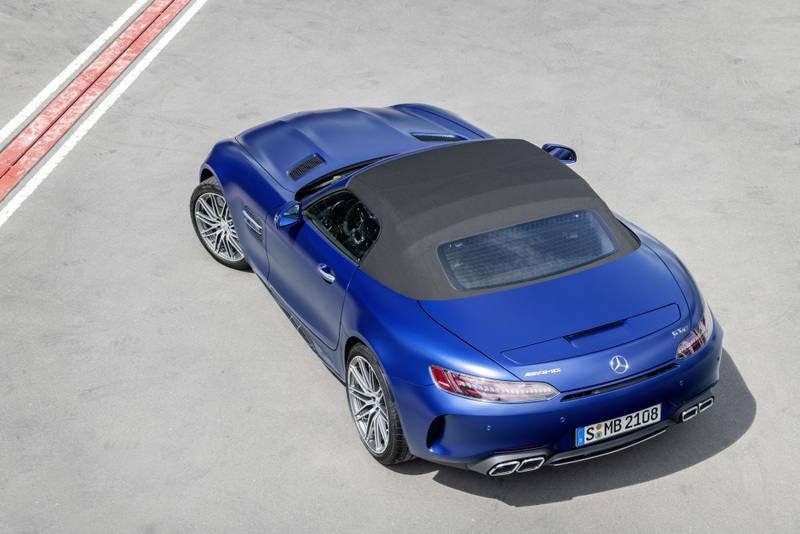 Beyond the easy to spot exterior updates, the two-door AMG GT Coupés and Roadsters has been fitted with the AMG DYNAMICS integrated driving dynamics control system for added agility, the new AMG Performance steering wheel, the center console with innovative display buttons from the AMG GT 4-Door Coupé and a fully digital instrument display with exclusive AMG “Superport” display style on the instrument cluster. 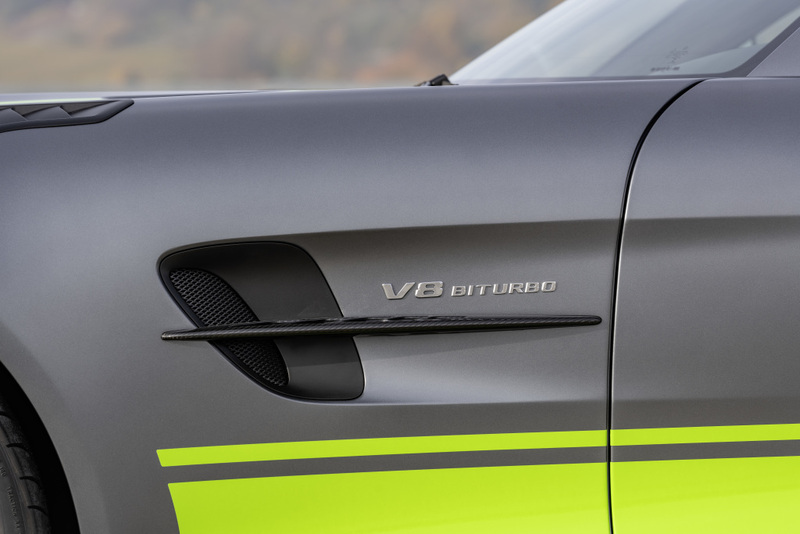 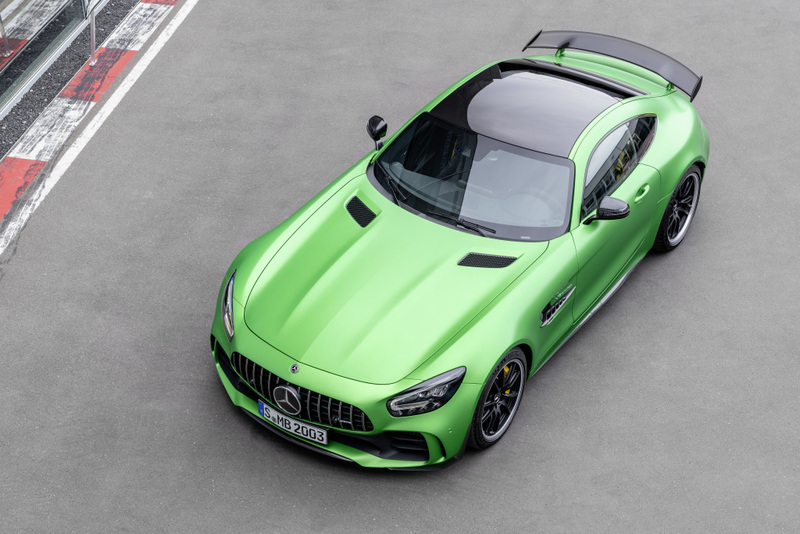 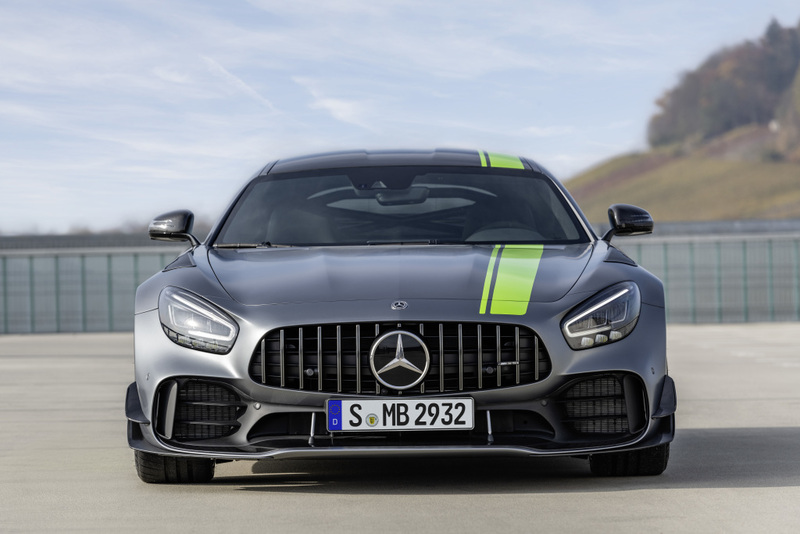 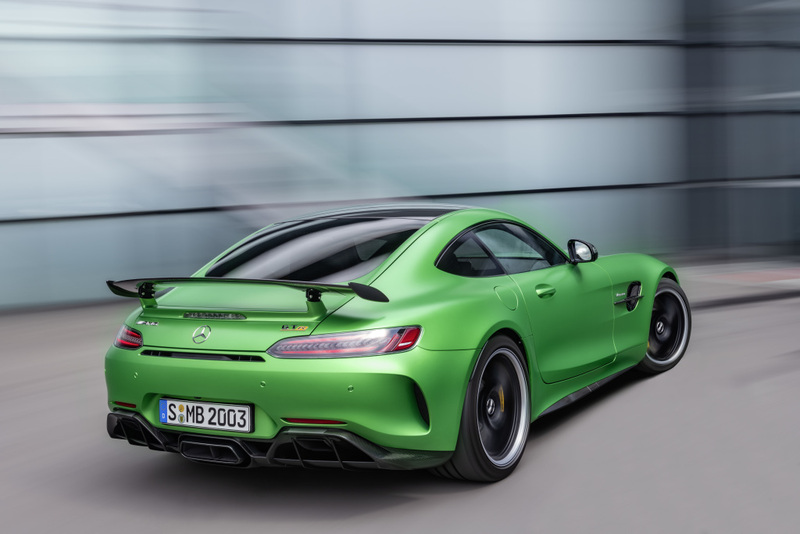 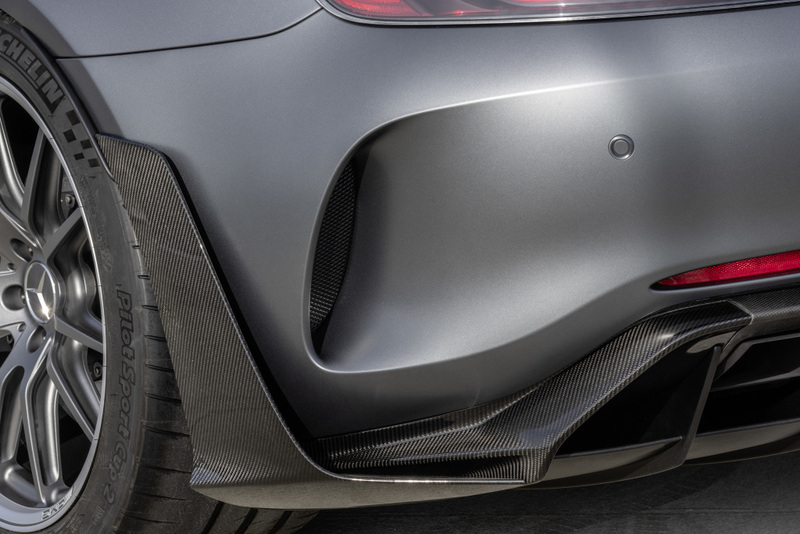 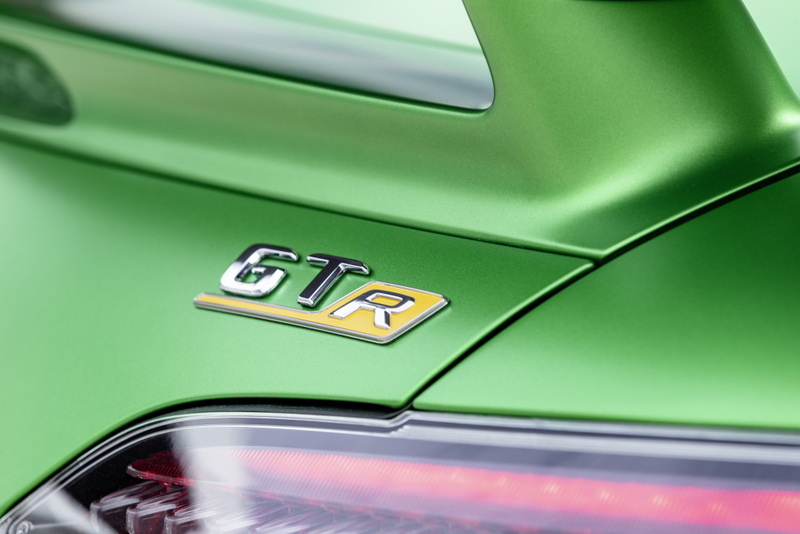 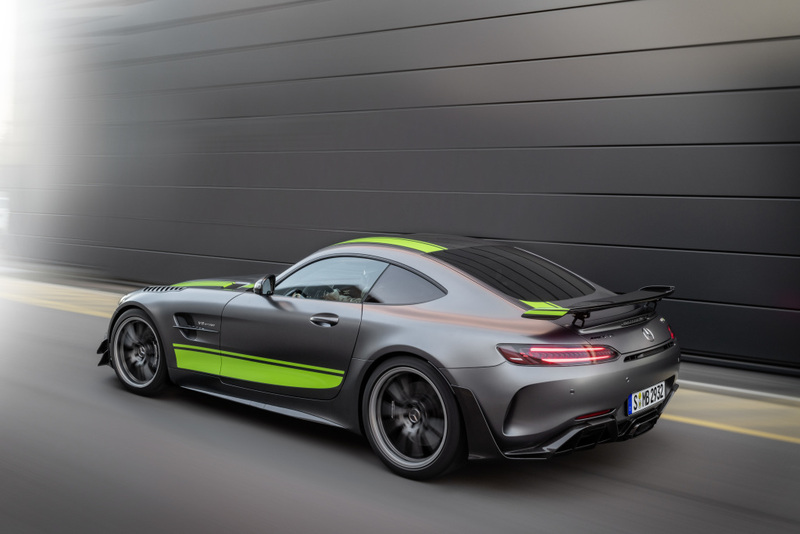 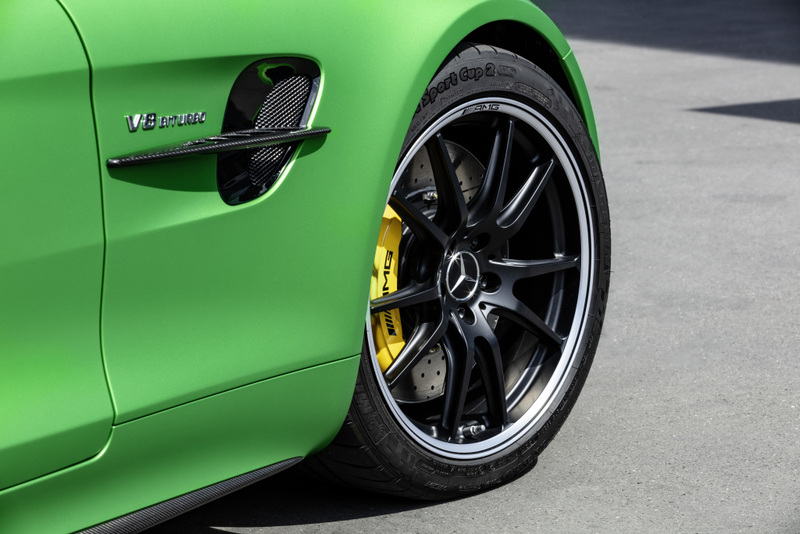 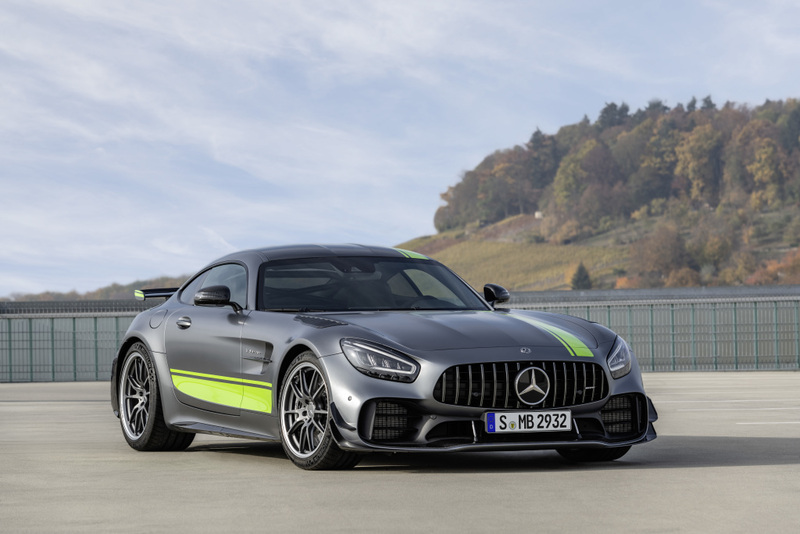 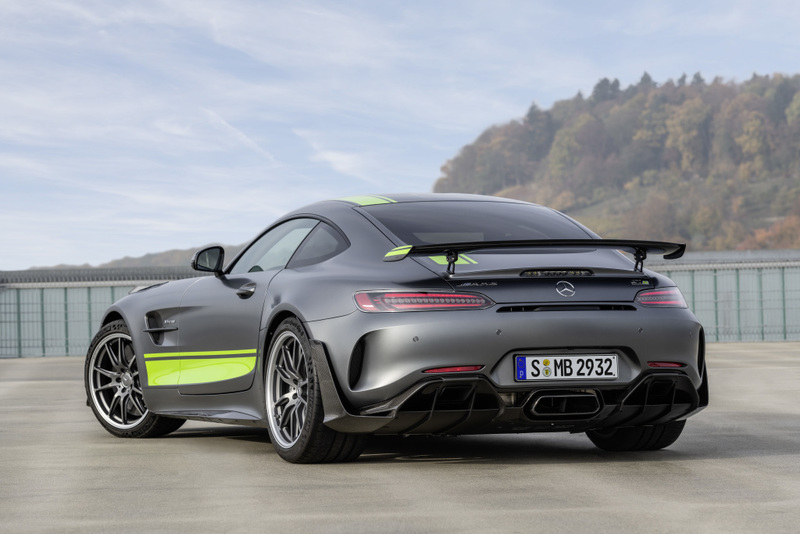 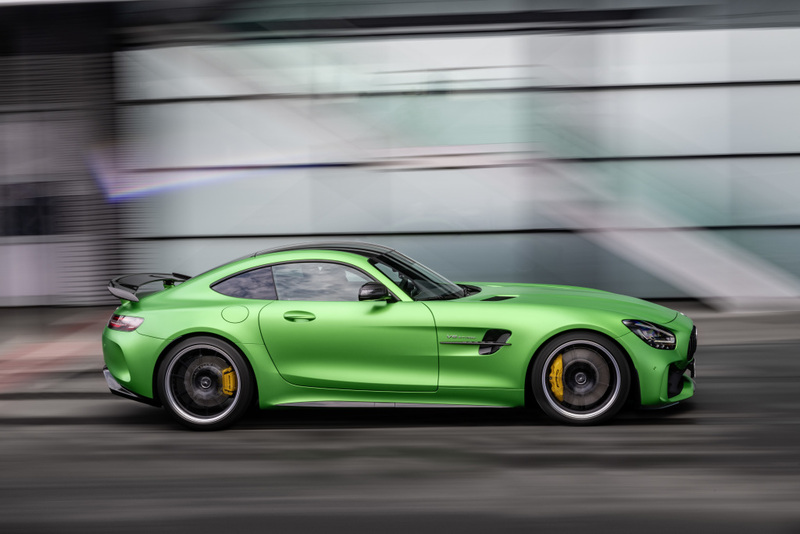 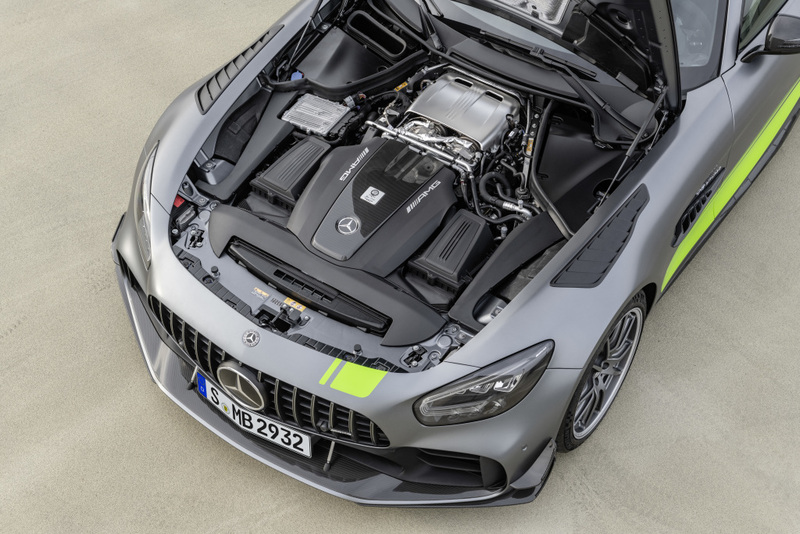 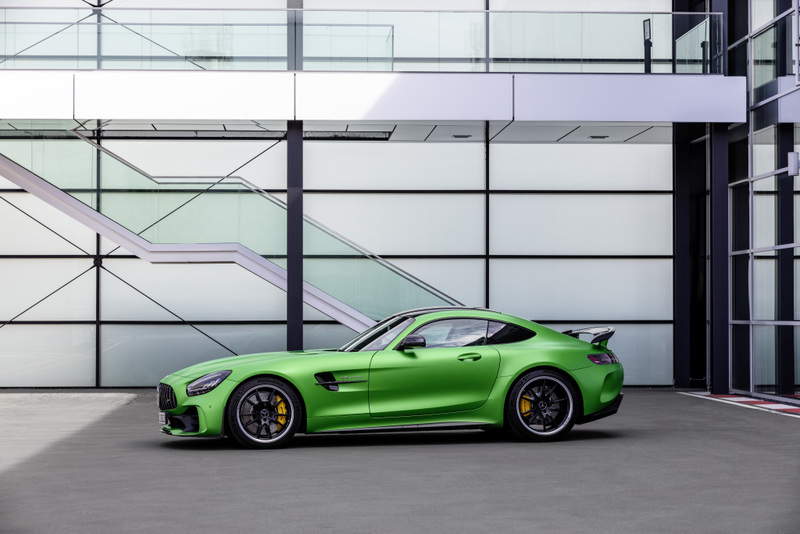 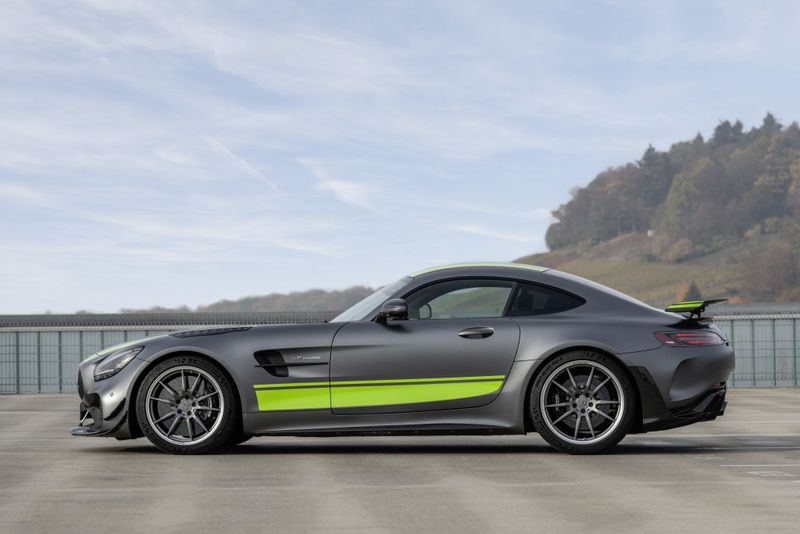 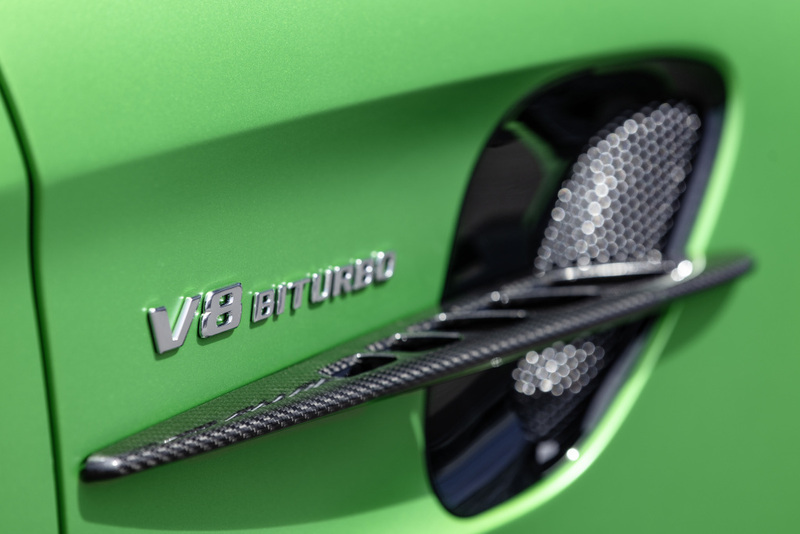 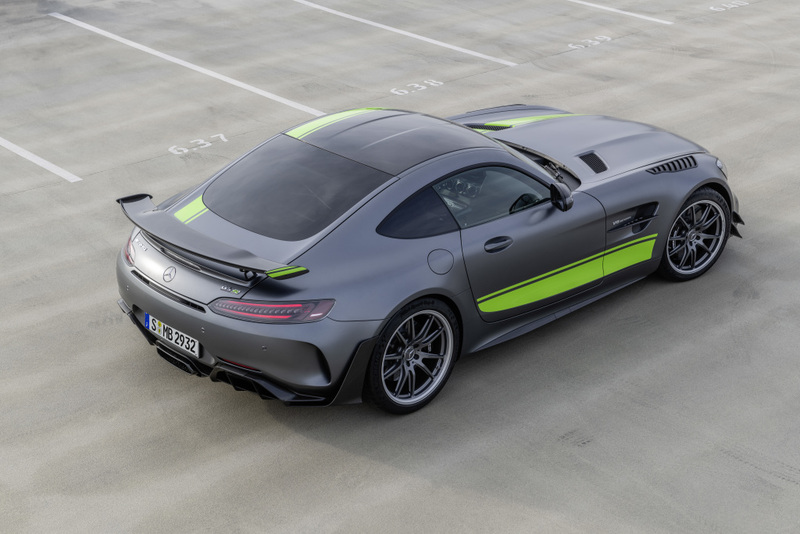 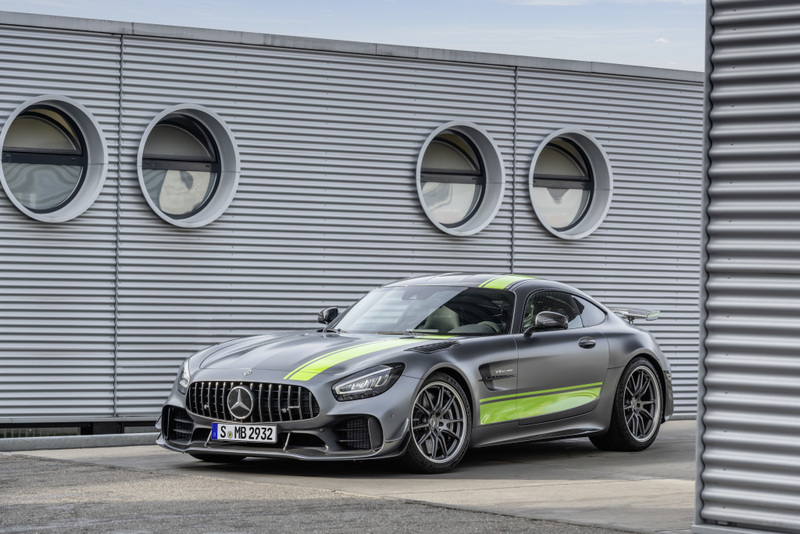 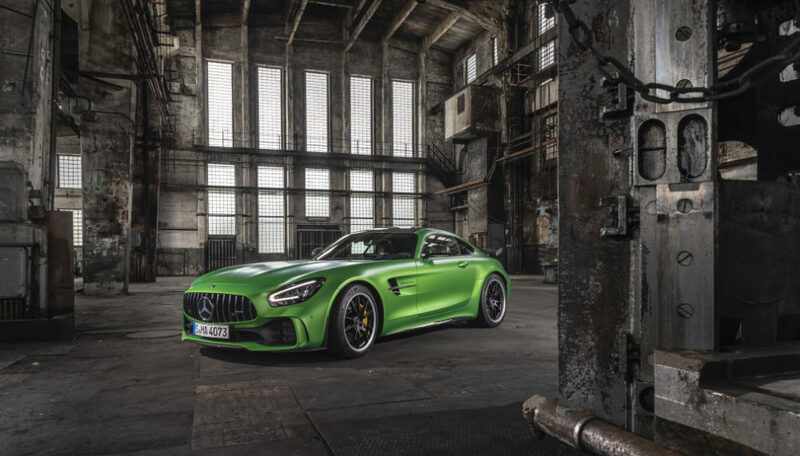 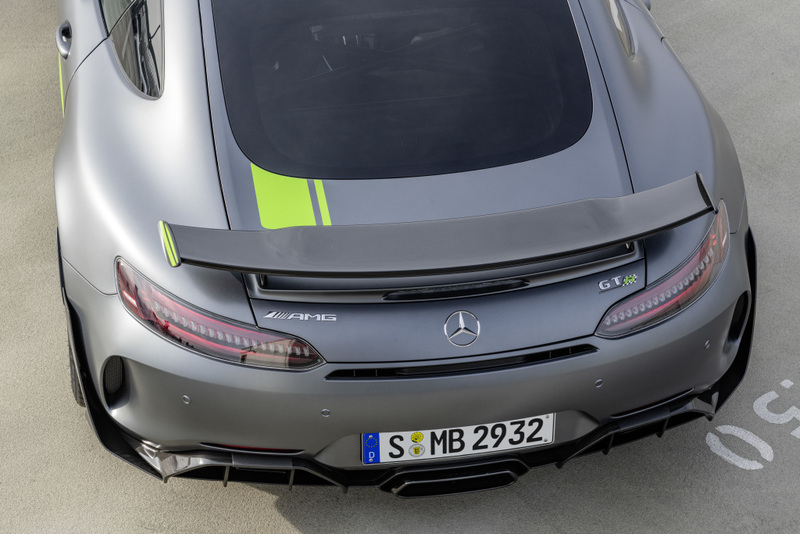 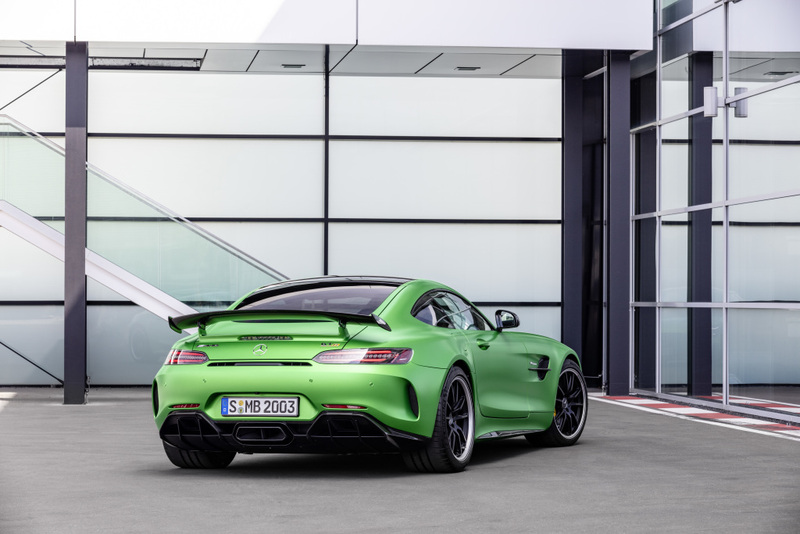 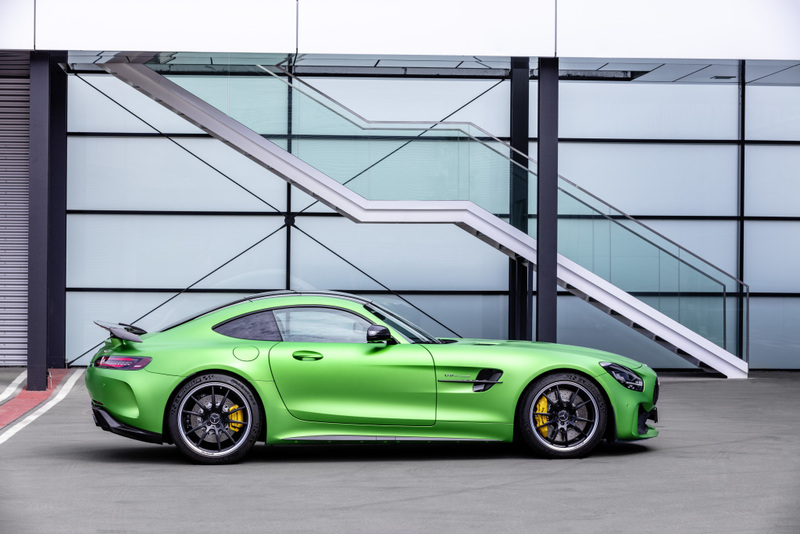 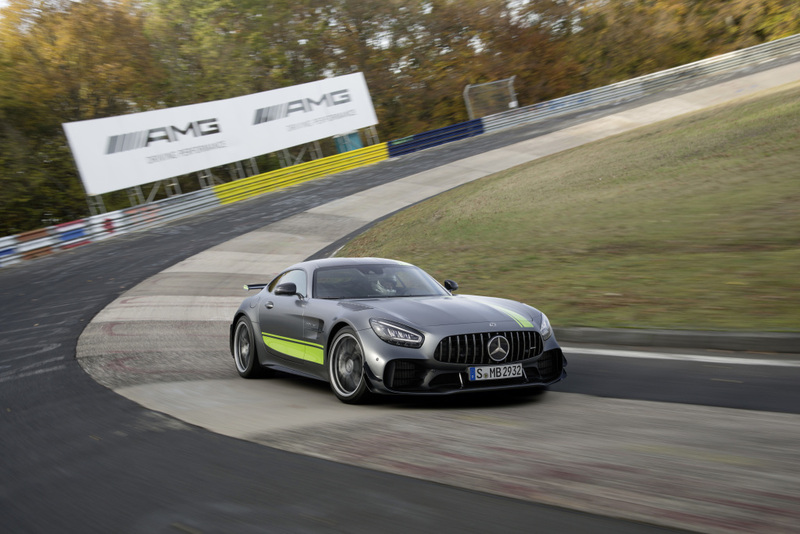 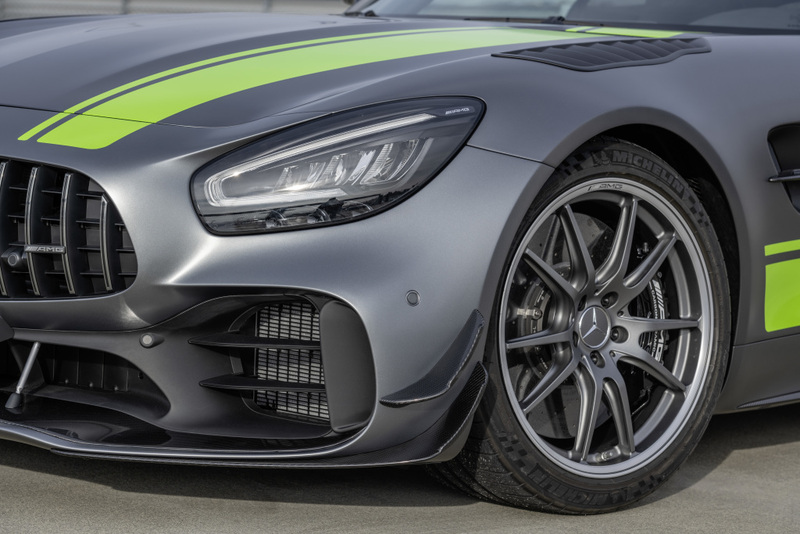 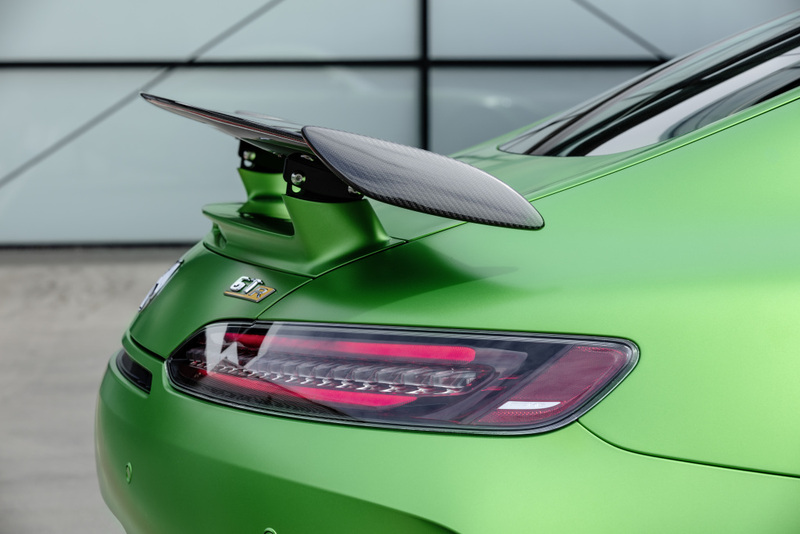 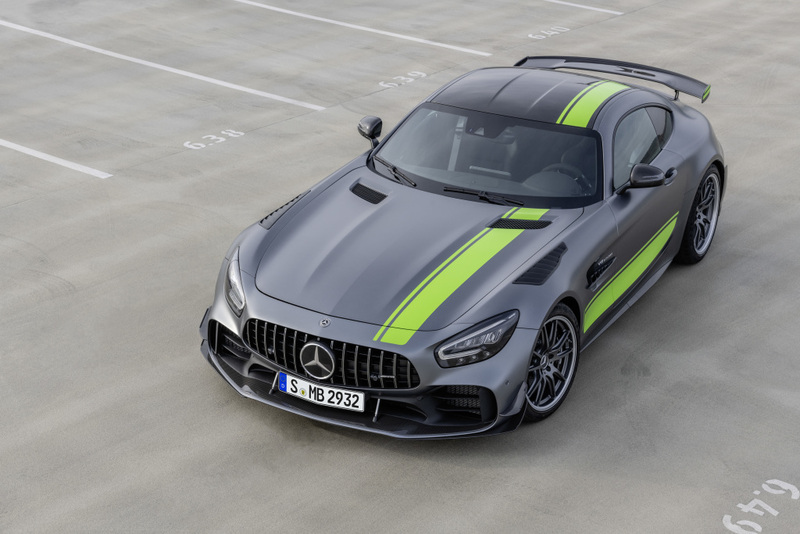 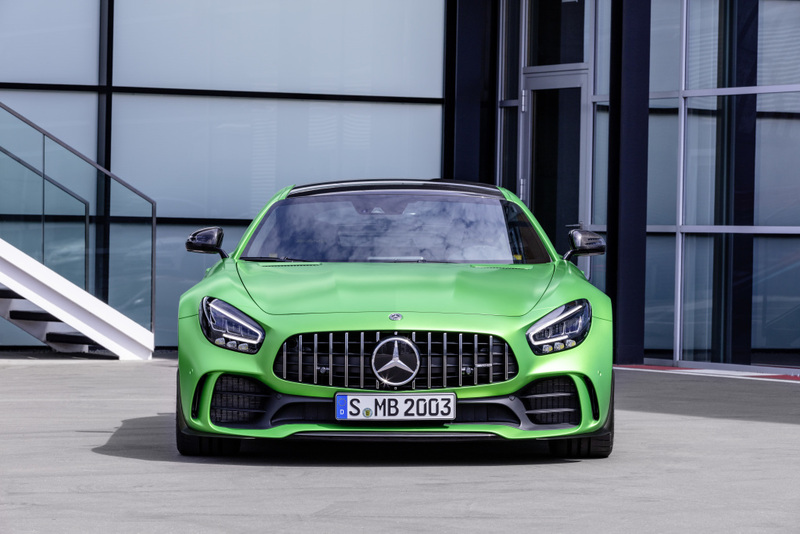 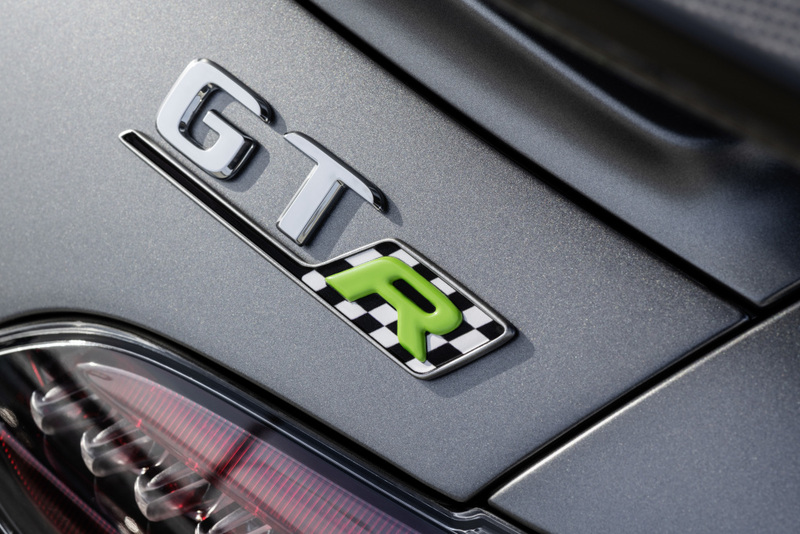 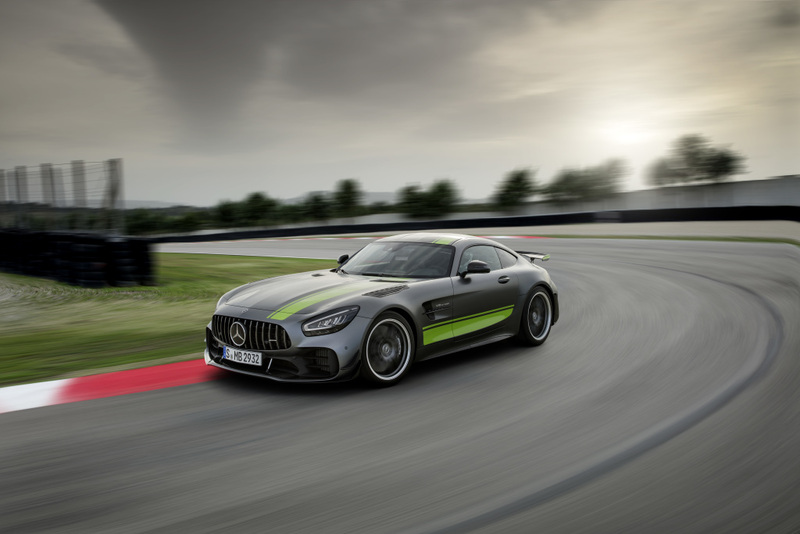 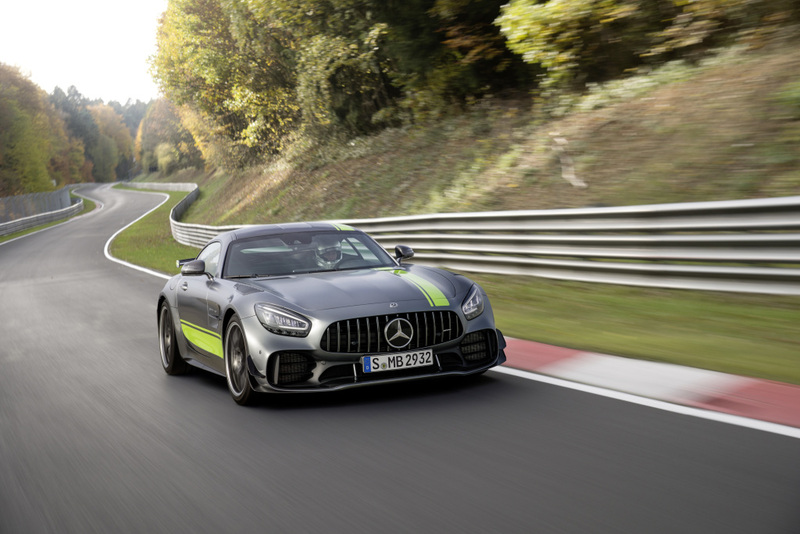 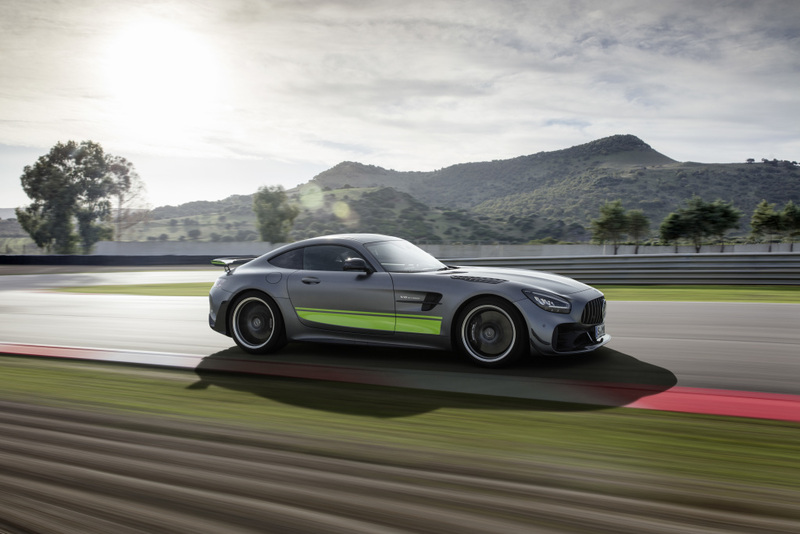 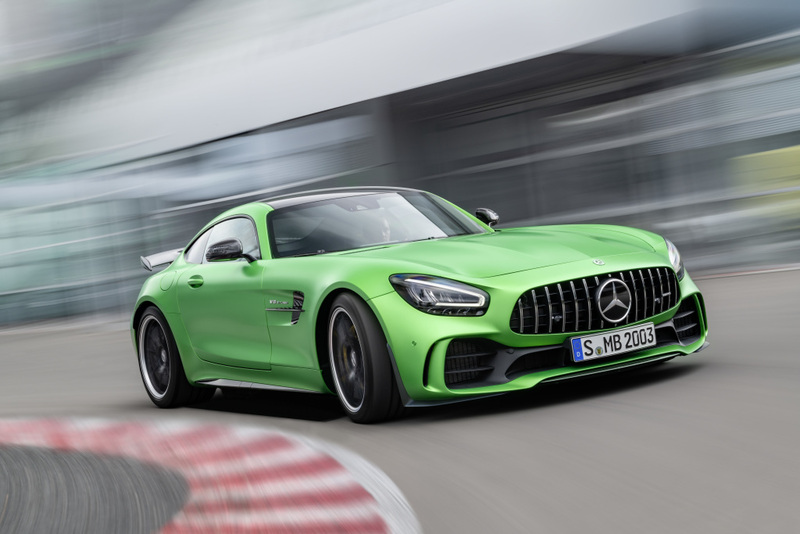 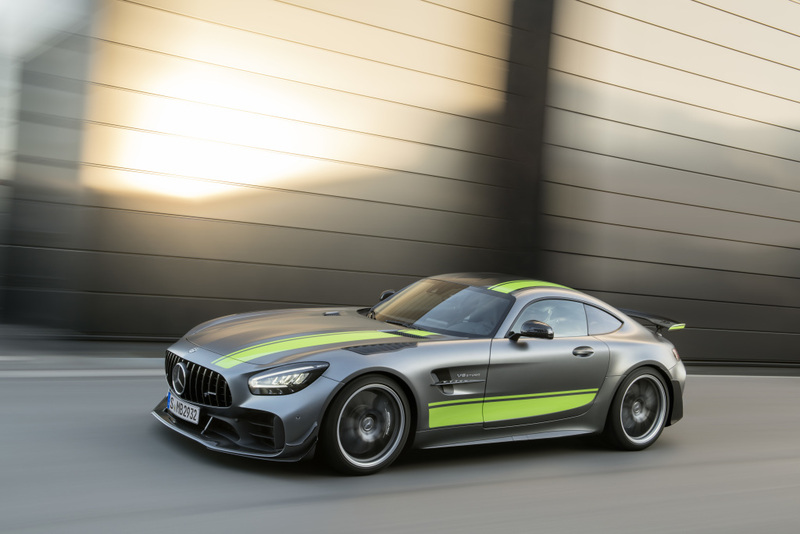 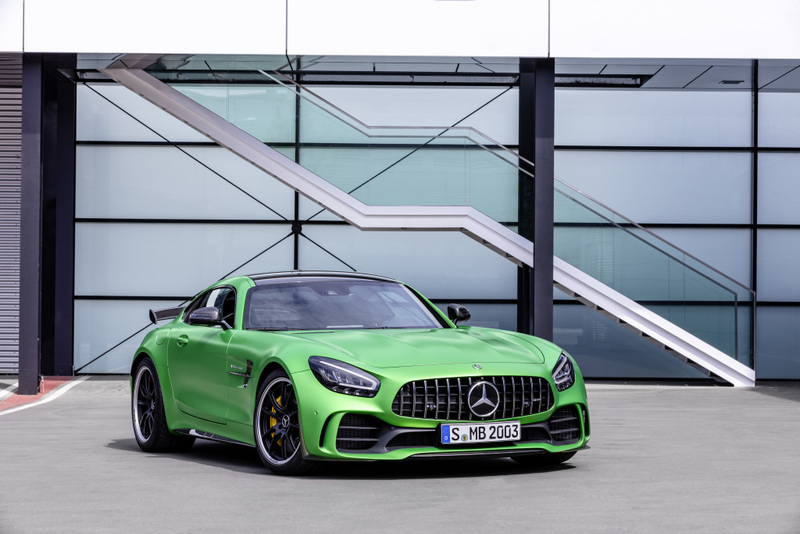 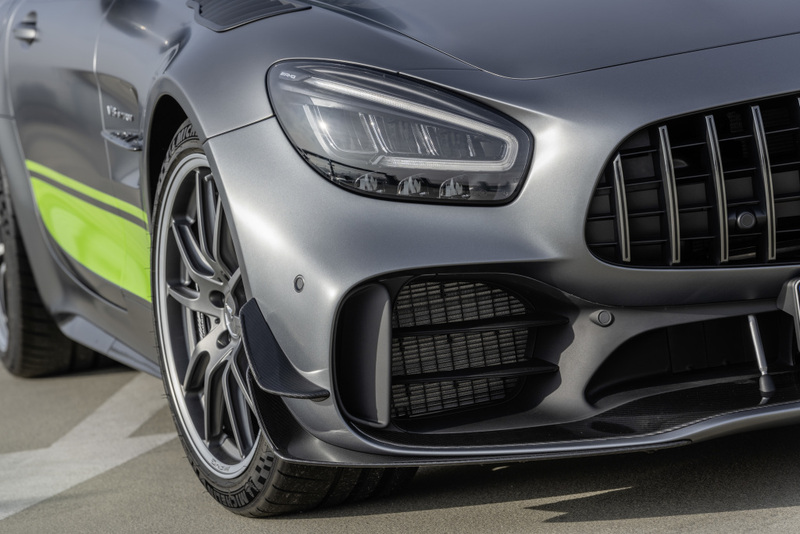 The AMG GT R PRO was modified extensively to offer up an even greater racetrack style performance with optimized specific power, new suspension, aerodynamic fine-tuning, lightweight-design bucket seats and lightweight-design wheels. 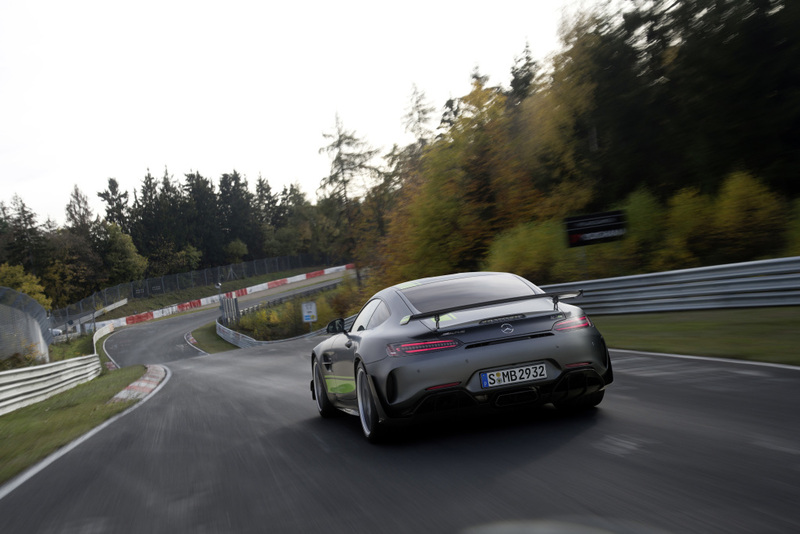 All of these updates contribute to the enhanced driving dynamics and, importantly, faster lap times.